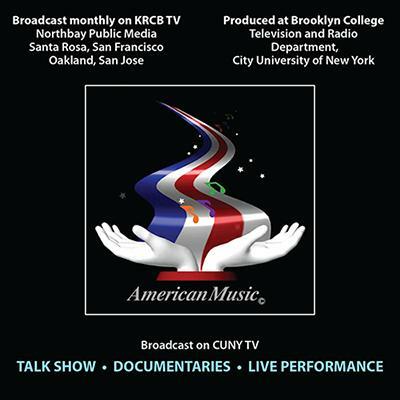 Randall Keith Horton's American Music* programs have been produced from college television stations in California, Illinois, Texas and New York City. 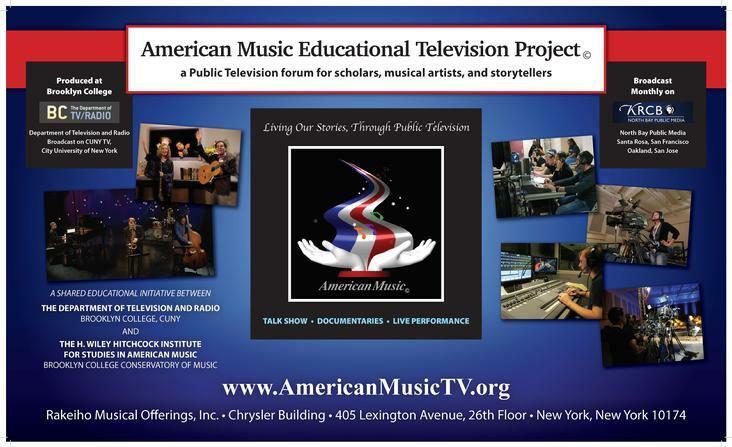 * copyright 2011, by Rakeiho Musical Offerings, Inc.
American Music is a talk show, with documentary and performance components. After envisioning the series in 1979 while he lived in Petaluma, CA, Horton pursued studies in TV production and media management, earning B.S. and M.S. 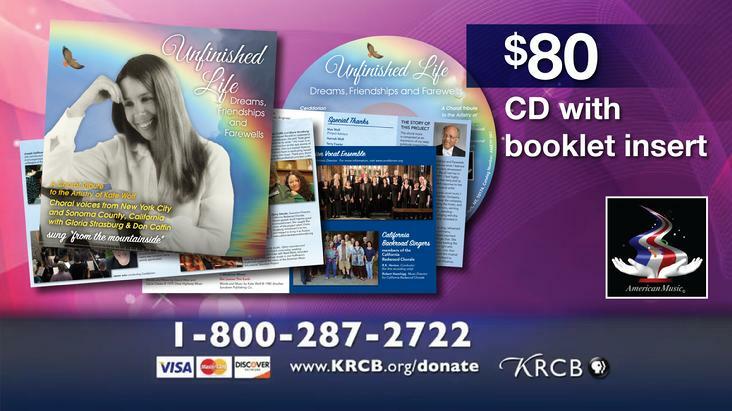 degrees, respectively, while producing the series for college television. 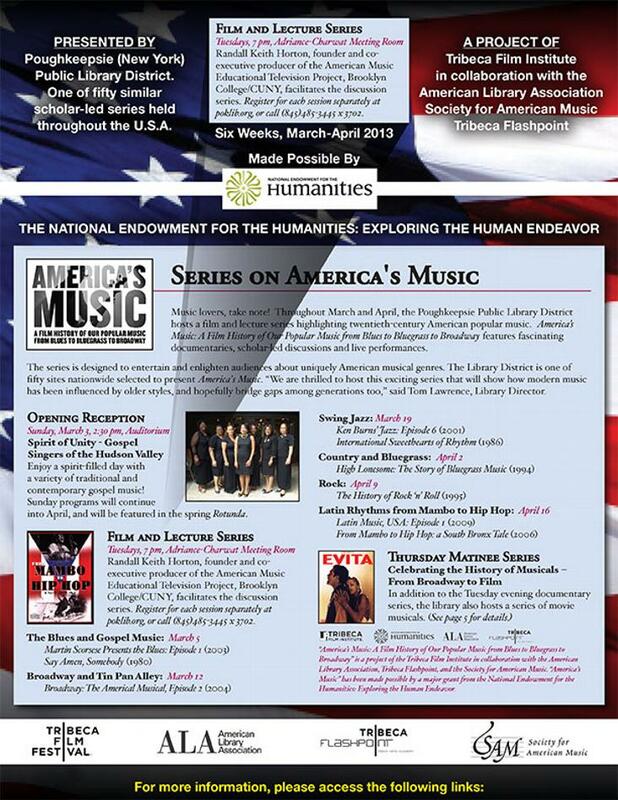 His eclectic background in Music, American History and Education brought him to formally enter the field of American Studies: While serving as Assistant to the Director, American Music Research Center (Dominican College, San Rafael, CA - now at Boulder, CO), he taught visiting college classes, later studied and taught at the U. of North Texas, Brooklyn College (CUNY), Bard College (NY), and matriculated in the graduate-level American Studies Program at Columbia University. 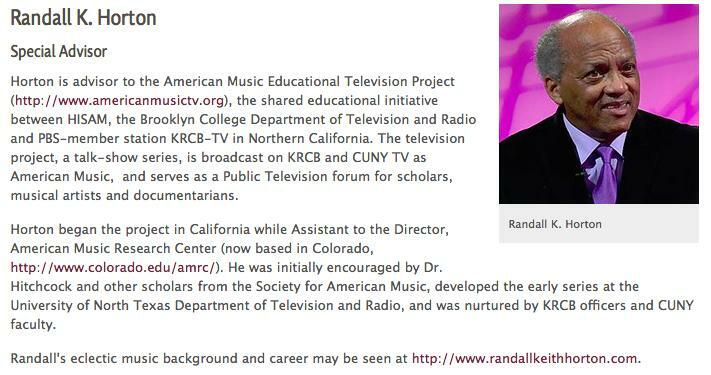 Randall earned a Masters Degree in Music Theory at the Aaron Copland School of Music, Queens College (NYC).